A compact camera is the natural next step for increasing picture quality from your smartphone and moving to a standalone snapper. Compacts are a fantastic way to make your mark and capture gorgeous images on a small, portable and high quality camera. Compacts are so great for entry level photography with some cheaper options available as well as more advanced professional point and shoots, great to have on your person at all times so you’ll never miss a shot. So how do you differentiate your Canon and your Sony, which should you get for the money? It’s Amazon’s choice for a reason and with the tech giant Sony printing their name on the side, there’s a lot of confidence in this point and shoot. Available in both black and silver, the entry level compact is an ideal upgrade from smartphone to camera with a minimal £64 price tag. With 5x optical zoom, HD video capability at 720p and a sweep panorama option to ensure you can capture the whole image, all the basics are covered. A 20.1 Megapixel lens means you’ll always have plenty of detail to let your creativity flow. A 1/2.3 Super HAD CCDTM sensor type and 10x digital zoom means you can see even the most distant of objects and pick out the distance with ease. The camera comes with a 2.7 inch display but lacks touchscreen capability and a rotatable screen, as expected with for the money but provides all the basics for beginners. All in all, the camera is a fantastic budget buy and is out go to recommendation for any amature photographer. 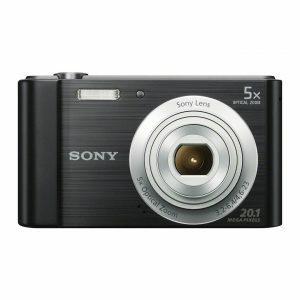 Second on our list for a photographer with a little more money to splash on a compact coming in just shy of £220. Canon are arguably the best when it comes to cameras, coming short of a monopoly on the market with some of the best bodies in the game, and the PowerShot SX720 HS is no different. 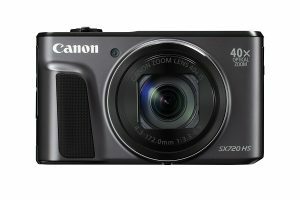 Available again in both black and silver, the capable compact boasts a pocket sized camera with a massive 40x optical zoom, complete with both zoom framing assist and an optical image stabiliser preventing poor quality distance pics and shaky snaps. Full HD, 720p video means making movies has never been easier and 5-axis dynamic image stabilizer and auto level keeps everything as smooth as possible throughout. A 20.3 Megapixel HS system allows for the crispest of images highest detail for your photography and with smart device compatibility via WiFi, shots can be remotely taken and backed up preventing dreaded corruption issues. For the money and the £200 bracket, there isn’t a better compact on the market and for a beginner or intermediate photographer, there’s confidence in both brand and technology to get the pictures you deserve. 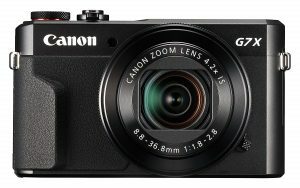 The most expensive out of our three choices is the Canon PowerShot G7 X Mark II Digital Compact Camera coming in just shy of £470, but what a fantastic little camera it has proven to be time and time again. The go-to compact from numerous professionals in the industry, the G7 X Mark II is a pocket-sized wonder boasting a bright lens, large sensor and DIGIC 7, helping you to capture professional photos and videos at the click of a button. 4.2x zoom and 5-axis dynamic IS means movies and pictures alike are smooth and elegant with full HD video permitted in the little box of wonder. Creative control is assisted with a 3 inch type touchscreen and tilt-type LCD monitor allowing a full 180 degree upward and 45 degree downward rotation for perfect selfies and low down filming and photography. Wi-Fi connectivity to smart devices is also possible, meaning you can control the compact from your phone or tablet and sync images immediately, for quick editing and viewing. A lens control rig helps for intuitive touchscreen operation and 14-bit RAW and picture styles provide perfect post production portraits. Time and time again Canon has proved itself the best on the market and the G7 X Mark II proves the brand is no fluke. A fantastic purchase for photography enthusiasts, professionals or amateurs wanting the best from the get go - it cannot be recommended enough.